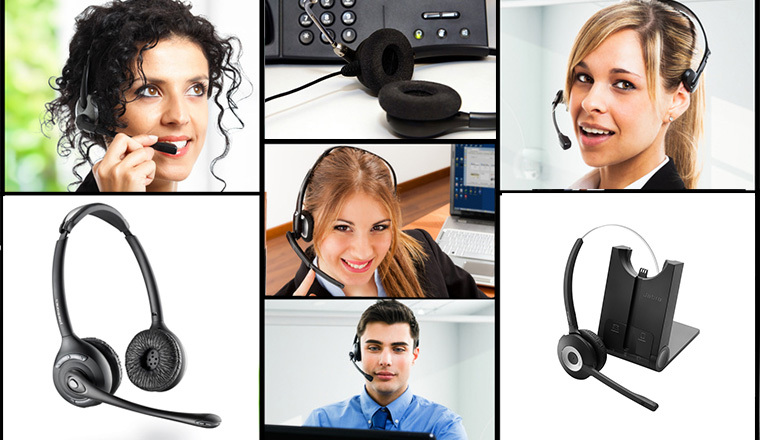 Our panel reveal the essential features to look out for when buying contact centre headsets. Headsets equipped with sensors can instantly give users real-time information about their current audio settings. This can better equip contact centre staff to deal with calls effectively. In addition, from a security standpoint, when a user is away from their computer, mobile headsets will detect that they are in a “non-call” state and trigger their PC to lock automatically. Audio processors that use digital sound processing can help to optimise sound quality and filter out unwanted noise at both ends. Since Ofgem has announced that 0800, 0808 and 116 numbers will be free to call from mobile phones, contact centres should prepare for the increase in background noise that will be created as people increasingly make calls on the move. In particular, processors that compensate for the loss of high frequencies, which are often the first to fall victim to background noise, as well as those that minimise the potential for acoustic shock (such as mobile feedback or sudden loud noises) will be able to deal with this most appropriately. 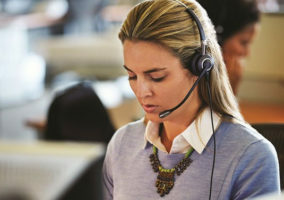 Ensuring that an agent uses a headset that’s been specifically designed for all-day wear is imperative to sustaining good occupational health and staff happiness. This can also lead to gains in productivity and efficiency. Features such as Digital Signal Processing (DSP) can remove background noise and echoes to help support conversation clarity. If you are unsure about the benefits a noise-cancelling headset can provide, why not trial one and benchmark it against your current device? That way you can hear the difference for yourself in your own environment. Always consider durability and invest in the best quality devices you can afford, rather than just seeing headsets as a low-investment end-point. This is because durable headsets should last longer than the manufacturers’ warranty – ultimately reducing cost-per-wear and downtime caused by faulty or broken headsets. Sound quality is critical for all sizes and types of contact centre. Investing in noise-cancelling headsets can help to ensure that customers cannot hear ambient background noise, have no repetition issues and are provided with the feeling of confidentiality. They also support call wrap-up to help facilitate successful completion of more calls per day. For larger and louder call centres, ultra noise-cancelling microphones can block out all background noise so no conversations can be overheard. 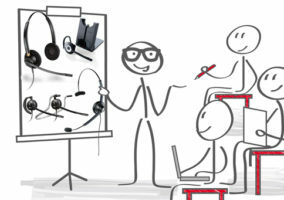 What do you think are the most essential features for contact centre headsets? A very good article, the intricacies of headsets are often overlooked and sometimes dismissed. As headset techology is further developed the awareness of these technologies is vital to the evolution of the call center industry.